Note: This tutorial assumes you’re running your Pi with Raspbian. This had me scratching my head for a while, but now that I’ve figured it out I think it’s only fair that I help anyone else trying to work this out! Open up your terminal window and log into your Raspberry Pi. 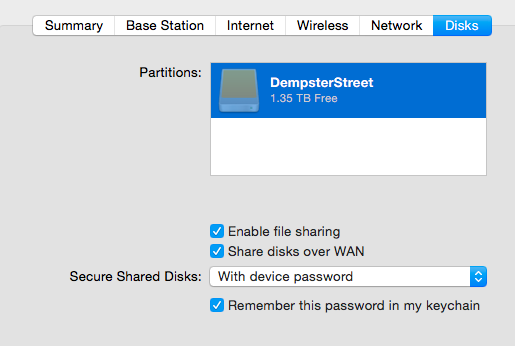 Create a new line and add the following, replacing “AIRPORTIPHERE” with the IP address of your Airport Extreme, “DRIVENAMEHERE” with the name of your Airport Disk and “YOURPASSWORDHERE” with your Airport Extreme password. Press ctrl o to Write Out your changes. All your Airport files should be there!